We need to bridge the wealth/income gap. That’s the movement I’d like to inspire. In the U.S., for instance, there are actually many different “countries” within the same national border. This is true for many other countries, too, and true for individual U.S. states. Take wages and cost of living in California, for example. The difference between the rural regions and the San Francisco Bay Area is vast. The difference between Pleasanton and Stockton, which is just an hour away, is vast. Technology plays a key role in reversing this geographic/economic inequality, and it’s one of the reasons I’m so excited about cloud technology. Used wisely, it enables people to do world-class work; earn a reasonable, living wage; and sustain a quality of life in a community where such things seemingly were impossible before. That’s the most personal reason for me to keep working, and I’ve tried to make Zoho itself a role model of a company that bridges the gap. 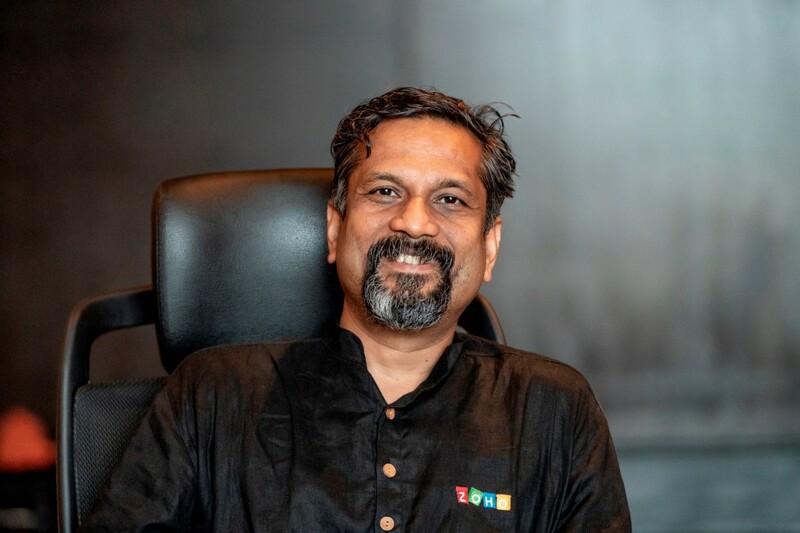 I had the distinct pleasure to interview Sridhar Vembu the Founder and CEO of Zoho Corp. Forbes described Sridhar as “The Smartest Unknown Indian Entrepreneur” today. 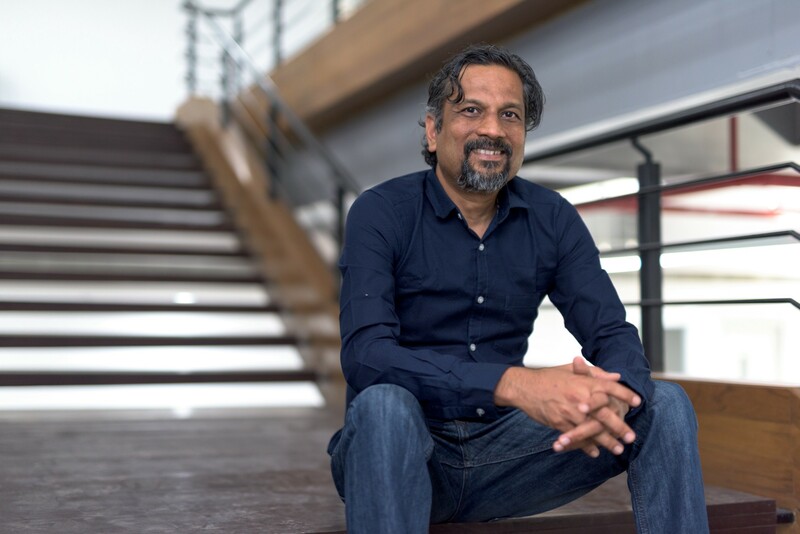 Being fascinated by the Indian software business, even in its nascent stage, he founded AdventNet in 1996 with two of his brothers and three friends. AdventNet is better known today as Zoho Corp. In his role as CEO, Sridhar guides strategic programs around employee advocacy and business development. Sridhar has also been instrumental in broadening and deepening Zoho’s software portfolio to include several business applications. 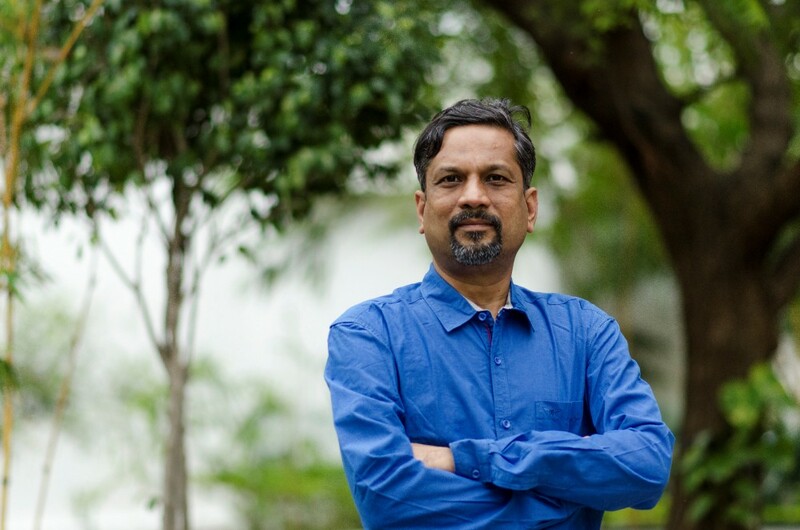 Before starting AdventNet, he held the position of a wireless systems engineer at Qualcomm.Sridhar is credited with creating one of the first online (cloud computing) office suites as a company and also for his unique staffing practices at Zoho, which employs high school graduates through the company’s own Zoho University. Sridhar is an alumnus of the Indian Institute of Technology, Chennai, and holds a Ph.D. in Electrical Engineering from Princeton University. Thank you so much for joining us, Sridhar! What is your “backstory”? In the mid-1990s, 1995 and 1996, we saw a lot of software engineers — but not a lot of software — being produced in India. So we sensed an opportunity, figuring that with so many software engineers, India must be able to produce software, too! That simple observation led us to start building software in India. By going to the source of much of the industry’s talent, we’ve since created several brands and a broad range of products with deep feature sets. Originally, I had a Ph.D. in electrical engineering and was doing very mathematical work. My intent was to become a professor and publish highly mathematical papers. But somewhere along the way, in the fourth year of my Ph.D., I started to feel my research was pointless. In 100 years from now, nobody would care. The math was elegant, but it didn’t matter in a deep way. That’s when I decided I didn’t want to continue with that line of work for the rest of my life. By that time, I had the full credentials to become a faculty member, but it didn’t matter. At a deep level, that research didn’t excite me anymore. I felt we were playing a lot of fun, mathematical games that were ultimately irrelevant. So I decided to do something more practical instead. The rookie mistake when starting a company is underpricing your products or services because you really don’t know how to price them competitively. Well, for the first year or so, I was the salesman for our company. In one of my sales calls, I was negotiating with a company that wanted to license and resell our software stack. During the deal, I was thinking, “Man, it would be nice to get $30,000 for this deal!” The customer drove a hard bargain, but I managed to close the sale at $30,000. That experience helped me realize I’m very bad at sales and encouraged us to hire a real salesman. Up to that point, the thinking was we couldn’t afford to hire a salesperson given our prices. However, when the last customer valued our software at 10 times its price, we realized we couldn’t afford to not hire a salesperson! No matter what anybody tells you, this is never easy. It’s one of the tough problems facing large teams. That said, we’ve found a few ways to handle it. One, establish enough autonomy in teams so that their work is loosely coupled with the work of other teammates and other teams. If every step of work by one person or group requires a corresponding step of work by a counterpart across the hall or around the globe, progress becomes difficult. So you want to design your work in a way that reduces your number of synchronization points. For instance, have teammates sync up a few times a week rather than a few times a day. Minimizing the number of sync points is a good idea for any two people doing creative work, regardless of location. In general, the more often people have to interact, the more difficult it is for each person to work due to the constant interruption. Two, when teams work together, the leadership on both sides must be committed to working together. If you have two teams, but only one team’s leaders are committed to making the collaboration work, it won’t be successful. Three, create point-to-point connections between teams so that people directly responsible for doing a job can work together directly, without involving the top leadership. Otherwise, you’ll create a bottleneck when everything has to flow through the top and the leaders must resolve issues and approve action. For this point-to-point approach to succeed, the top leadership needs to be committed and in sync. The top practical challenge for us is juggling time zones, especially with our U.S. and India offices. We’re talking about the other side of the globe, so some teams are sleeping while others are working. For us, that means the notion of fixed office hours is shot. One or both teams must have flexible hours, especially when teams from different time zones need to have a meeting that accommodates all team members, both local and remote. The only way to overcome this deeper challenge is to commit to working together. For this, you need people who are naturally cooperative, curious and open-minded; people who are willing to learn another person’s style of communication. Typically, what happens is that the two sides wind up meeting somewhere in the middle. For example, in Japan, things are very cut and dried and run by rules. Employees are expected to show up at work at the precise start of the work day and adhere to other workplace rules. Silicon Valley is just the opposite. It’s very flexible with a lot of “make it up as you go.” So when teams from these two regions work together on a project, we find each adjusts its expectations. As a result, the Japanese team loosens up a bit while the Silicon Valley team gets a little tighter. One of the most important traits for leadership is predictability. Are you predictable to your team? Can they reasonably predict how you’ll react in a particular situation? Obviously, every person is unpredictable at times. But as a leader, you can’t create an environment in which you’re a different person every day — say, constantly looking over employees’ shoulders as a micromanager some days while basically ignoring them other days, letting them work without any supervision or input from you. You can be a hands-on or hands-off manager, but be predictable. That way, your team can adjust and align their expectations. Most times when people quit their jobs, they actually “quit their managers.” What are your thoughts on retaining talent today? Ultimately, people stay in jobs because they’re inspired. And people stay with managers because those managers inspire them to do things they don’t think they’re otherwise capable of doing. So the key to retaining talent is inspiring your people. First, we are humble enough to know, and battered enough to understand, that not all great attempts or innovative proposals will actually succeed in the market. So we separate results from effort. And we consciously and continuously encourage our team members to pursue “interestingness” every step of the way, to do things that lead them to discover even more interesting things that might someday lead to true success. Second, it is important to constantly walk the fine line between the boringly easy goal and the impossibly ambitious one. Managers need to set goals that make it easy for employees to see tangible progress in their projects, even if the finish line still seems far away. At the same time, team members need to have challenges thrown at them that inspire them to dream. Third, here’s something I had to learn the hard way: Smart people don’t actually like being managed! They prefer to thrive on the trust placed in them and surprise their managers with the speed and quality of their work. So, if you have a high-performer on your team, you need to learn when to get out of the way and wait for them to thrill you with their accomplishments! Finally, give people the freedom to roam and find their niche. While we see people quit their managers, they don’t necessarily quit the company. Some move to new product teams led by different managers. Others move to new positions within the same product team, working in capacities that better suit their temperaments or make better use of their skills. We need to bridge the wealth/income gap. That’s the movement I’d like to inspire. In the U.S., for instance, there are actually many different “countries” within the same national border. This is true for many other countries, too, and true for individual U.S. states. Take wages and cost of living in California, for example. The difference between the rural regions and the San Francisco Bay Area is vast. The difference between Pleasanton and Stockton, which is just an hour away, is vast. Technology plays a key role in reversing this geographic/economic inequality, and it’s one of the reasons I’m so excited about cloud technology. Used wisely, it enables people to do world-class work; earn a reasonable, living wage; and sustain a quality of life in a community where such things seemingly were impossible before. That’s the most personal reason for me to keep working, and I’ve tried to make Zoho itself a role model of a company that bridges the gap. Can you please give us your favorite “life lesson” quote? Can you share how that was relevant to you in your life? I come from a very modest family background and very modest economic circumstances. One thing my parents instilled in me was, if you don’t have the money for something, don’t buy it. Never borrow money. That discipline was instilled from childhood and by example. “Never borrow money” means you necessarily commit to frugality. Even today, I don’t throw money around. I pay cash for my purchases. Overall, I tend to be frugal in my personal habits. That came from my parents. That simple lesson has made a big impact on our company. We’ve gone for 22 years without having to borrow money, so we’ve avoided the stress that comes with borrowing. A company that has to extensively borrow also has to put pressure on its employees to pay back the principal and interest. Now, the company is on a treadmill and therefore the employees are on a treadmill, and everybody’s under pressure and at risk of burnout. The economy has gone through a couple of downturns over the past 20 years with the dot-com bust and global financial crisis. And I didn’t lose any sleep during those times because we had a sound balance sheet and we never had debt — thanks to a habit that came from my parents.